New York (TADIAS) — The world does not seem to want to forget Haile Selassie, Ethiopia’s last Emperor who has been gone for more than forty years, continuing the debate regarding his complicated legacy as both a reformer and an autocrat. And in November 2015 a new book from Haile Selassie’s grandnephew, Asfa-Wossen Asserate, is slated to be released by Haus Publishing and distributed in the U.S. by the University of Chicago Press. Asserate’s book entitled King of Kings: Triumph and Tragedy of Emperor Haile Selassie of Ethiopia provides an authoritative, insider’s perspective and a refreshingly balanced look at this fascinating international figure who was the global face of Ethiopia for most of the 20th century. To be sure Haile Selassie governed a much different Ethiopia than today with a population three times less and a country dominated by a handful of politically connected feudal landlords that were either related to or favored by the royal palace. 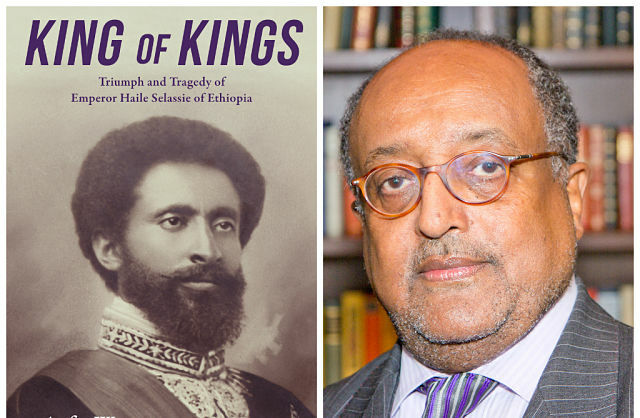 From his vantage point as a close family member the author — who is the grandson of Ras Kassa Haile Darge and the son of Ras Asserate Kassa– shares his personal memories of the Emperor as well as a rarely told and candid behind-the-scenes account of palace politics, family feuds and coup d’etats that eventually led to the coronation of Haile Selassie in 1930, and forty four years later, his swift downfall and unceremonious removal from power. Asserate’s book is also timely not only because there is a renewed interest in Haile Selassie by a new generation of artists, researchers and historians, but also because this year marks the 70th anniversary of the United Nations, which was created in 1945 with the active participation from the Ethiopian leader. King of Kings: Triumph and Tragedy of Emperor Haile Selassie of Ethiopia is full of captivating details that only an insider could share; it is written with great poise and warmth for the enigmatic leader while at the same time cognizant of the swelling unhappiness and criticism the Emperor faced from his own people impatient with the pace of change.